Your SteadXPs production began! As you can imagine, those past weeks were very intense, solving at least one problem on each subject: packaging, certification reports, software license, insurance, warranty, international billing, customs, supply, logistic etc… A few things still to be fixed, but we are on the final stretch now! Of course, as already expressed in past updates, we must admit we clearly under-estimated the time we needed to setup an international targeted production, and we hope you can understand. If 505K€ is definitely enough to produce your SteadXP, it’s a real challenge to get the work done, build a startup team and an international BtoC business from scratch in a few months. Perhaps it will sound strange to you, but half a million is not that much in an industrial context. 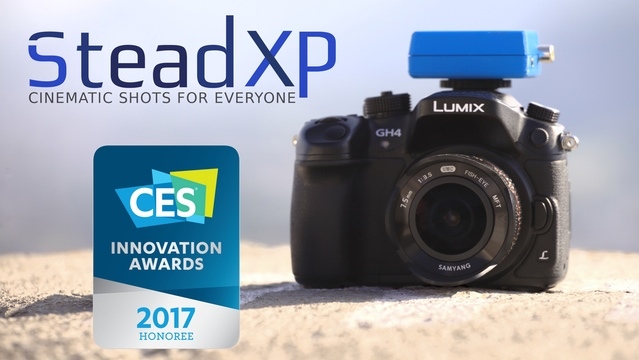 A CES Innovation Award for SteadXP! Proud to be in Las Vegas soon for our (first) professional show, come to see us! We are working non stop on the delivery of the final product, night and days. So it’s great to do this with the support of our 2287 backers, really. So thanks again for your support! We are very satisfied with our boards quality! Even if we received our Quality Toolings with delays, the ramp up phase of SteadXP boards production is passed with success. That’s a very good news so! SteadXP@ boards on the pick and place machine, before and after remelting. Those past weeks we were waiting for the 4th, and then 5th casing iteration from our former mold supplier, hoping each time it will match the design. But after 15 weeks of fixes on the molds, and even after the 5th iteration, another is still needed to validate the design prior to start the production of the casings. We just received our 2 steel injection molds! So we acted to get the molds back to Grenoble, and now we know that our local molding factory, highly qualified, will swiftly solve the remaining non-conformities and quality problems. As soon as we will fix molds, we will give you an accurate shipping new schedule, but we can tell you we are targeting Christmas now. We are still interviewing candidates to take over the Community Management, and are really sorry for customer relations this past weeks: a lot of received emails are still unanswered. Our absolute priority is of course to ship your SteadXPs ASAP, but we will get a new CM within a few days to answer all your mails and legitimate questions.